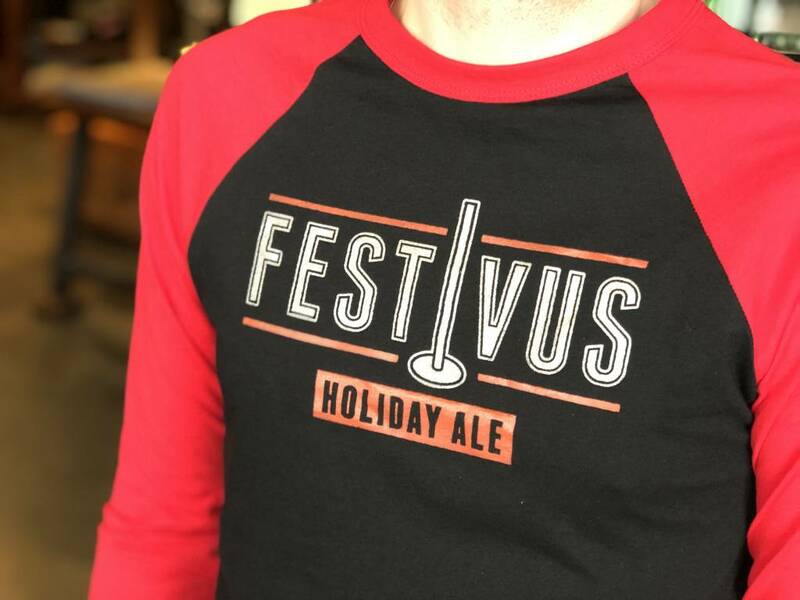 Red and black raglan with Festivus Holiday Ale logo on chest and MGB hop badge logo on back. 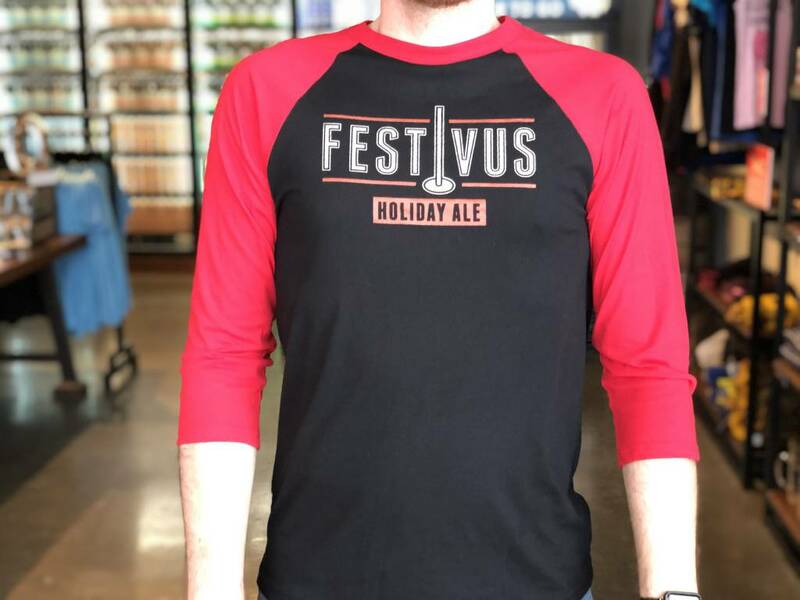 Printed in metallic silver and red. 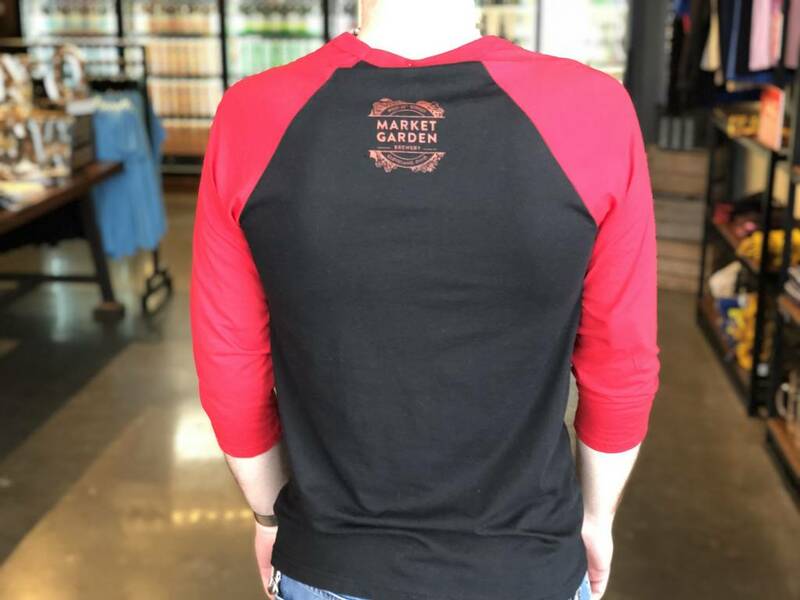 (52% cotton and 48% polyester).